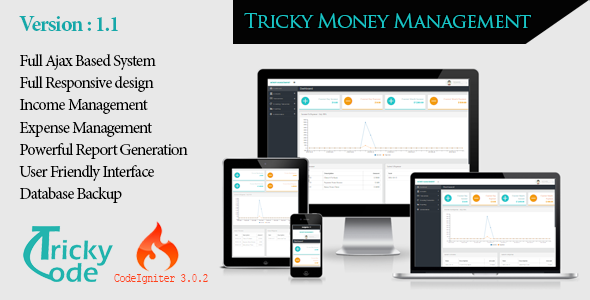 Tricky money Management v1.1 - CODELISTPRO | Free Premium Scripts, Plugins, Apps Source Code. Tricky Money Management is most easy Web based accounting system. It is full ajax based accounting system which has no page reloading. You can keep your all income and expense using Tricky Money Management system. You can Create unlimited Accounts and control your all income and expense.